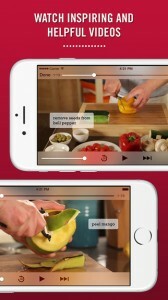 Kitchen Stories Recipes iPhone App Review. For all of you foodies out there, who do not only enjoy eating a delicious meal, but also cooking it, Kitchen Stories Recipes is a must-have app. I, for one, am extremely passionate about cooking, baking, and everything food-related, in general. And I think Kitchen Stories Recipes is one of the best, if not the best, cooking app I’ve come across so far. 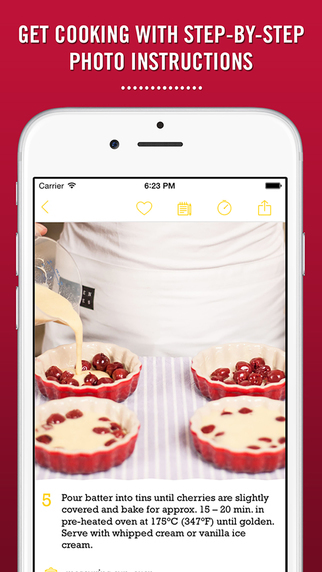 What’s really nice about Kitchen Stories Recipes is that it is an all-in-one app. You discover new recipes. Watch How-To videos. 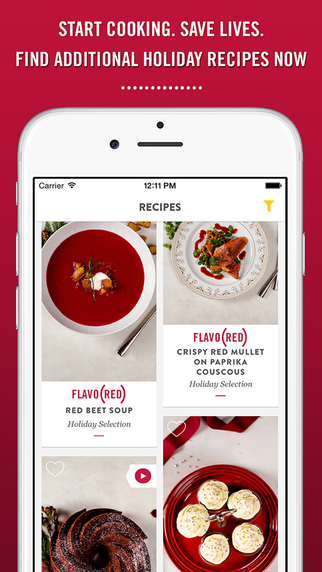 Easily add to your shopping list the ingredients you need to cook your favorite recipes. Share the recipes you like with your friends, and your own recipes with the Kitchen Stories Recipes’ community. Easy to use, intuitive, user-friendly, helpful, and social. 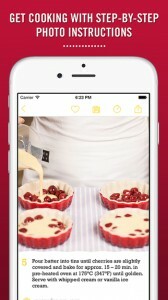 Kitchen Stories Recipes has a really beautiful, intuitive design. Unfortunately, the recipes aren’t listed by type, so you can’t access a desired folder where you can find only Starters recipes, or Christmas recipes, or whatever type of food you’d like to cook today. But you can search for a certain recipe. Or, you can scroll through all the recipes on the screen, and when you see one that you like, simply tap on it, and find out more about it. The problem isn’t that you’re not going to find inspiring recipes. Quite the contrary. All the recipes are accompanied by such suggestive, delicious-looking pictures, that you won’t know what to start with. Once you pick something from the list, you’ll come across beautifully designed recipes, accompanied by photos describing every step of the cooking or baking process. Plus, you can always watch the assigned video instead, which makes the process even more clear, and the recipe, really easy to make. Really like a recipe? Easily add it to your favorites list, and share it with your friends on different social networks, e-mail, or print it. Select the ingredients you need to buy, and add them in an instant to your in-app shopping list, or to the Reminders app on your device. Are you also interested in improving your kitchen skills, and learning tips and tricks? The How-To videos will teach you everything you want to know related to Knife Skills, Everyday Basics, Baking, and Homemade. Learn more about kitchen essential ingredients, and utensils. And become an active part of the cooking community on Kitchen Stories Recipes, by requesting an invitation. It might not be as quick as a simple sign up, but once you’re part of the community, you’ll have access to a lot of cool stuff like creating, and sharing your own recipes. Kitchen Stories Recipes is a beautiful, smart, and extremely practical app. It is totally free of charge to download. All of the options, videos, and most of the recipes are also free of charge. But Kitchen Stories Recipes also includes a Holiday Recipe Package you can purchase for $0.99. The recipes the package comes with are extremely nice, and price-worthy. 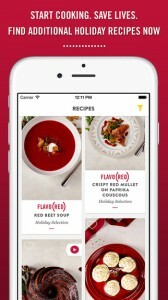 Plus, Kitchen Stories Recipes is also part of the RED campaign. So, the money you spend on the FLAVO(RED) Holiday Selection Package go to the RED foundation that is raising funds to fight against AIDS in Africa. Beautifully designed. Practical. Smart. Useful. Really pleasant user-experience. Therefore, a must-have app. This is Kitchen Stories Recipes. What do you think of Kitchen Stories Recipes? Scroll down for our comment section and let us know!